Friends for Our Riverfront: Has the Bloom left Bass Pro/Pyramid? Has the Bloom left Bass Pro/Pyramid? With it looking like Bass Pro had something to do with illegally clear-cutting the bank and floodplain along Wolf River Harbor and that they have no intention of rebuilding the pedestrian bridge to Pinch historic district, citizens are again shocked by the retailer. The Commercial Appeal reports: City on Hook to build Bass Pro garage It seems that buried in the complex contract between the City and Bass Pro, the City committed to build a parking garage for the megastore.This expensive detail comes as a shocker to many, including former City Councilmen Harold Collins and State Senator Lee Harris. 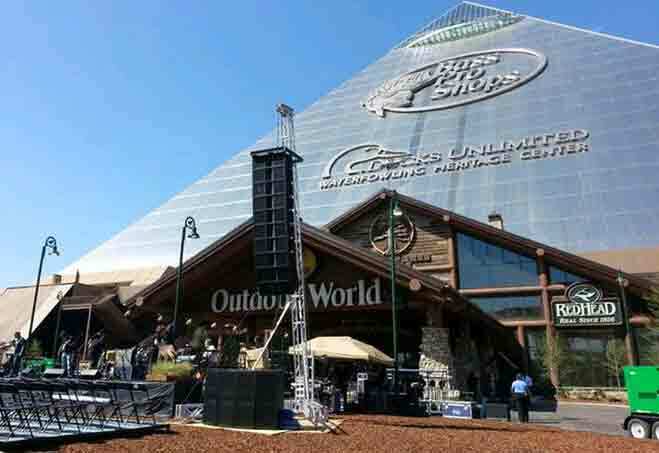 And if that were't enough, questions are surfacing about whether Bass Pro is actually making money at the Pyramid. A tourist site, yes, but is it generating the kind of sales taxes earmarked to repay the $191M in bonds used to renovate the Pyramid, buy out the County's stake in the Pyramid and Cook Convention Center, and purchase the adjacent Lone Star Cement Co.? Maybe it's time to go through that contract with a finer toothed comb, get some detailed numbers on Bass Pro's revenues at the Pyramid, and reread Scott Reeder's 2012 article "Why Have So Many Cities and Towns Given Away So Much Money to Bass Pro Shops and Cabela's?" - before anybody seriously considers getting them involved with Mud Island River Park.